The WSF this week is hosted by Banko. Check the Flights Forum for more info and to sign up! The flight will be on our dedicated server at the usual time and place. 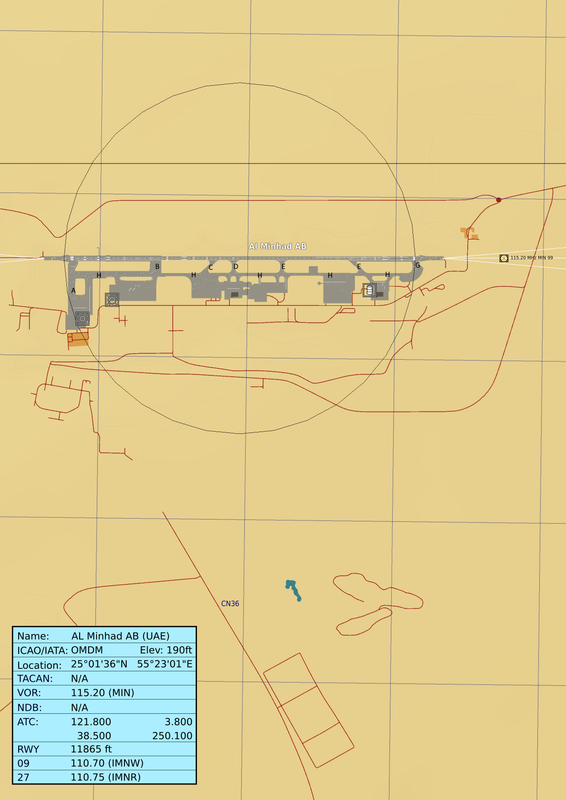 During the night an Il-76 flight landed at Kerman airbase and unloaded new GPS jamming systems. Intel believes that there are stored in the hangers at the base, the 294th is tasked with destroying those hangers. 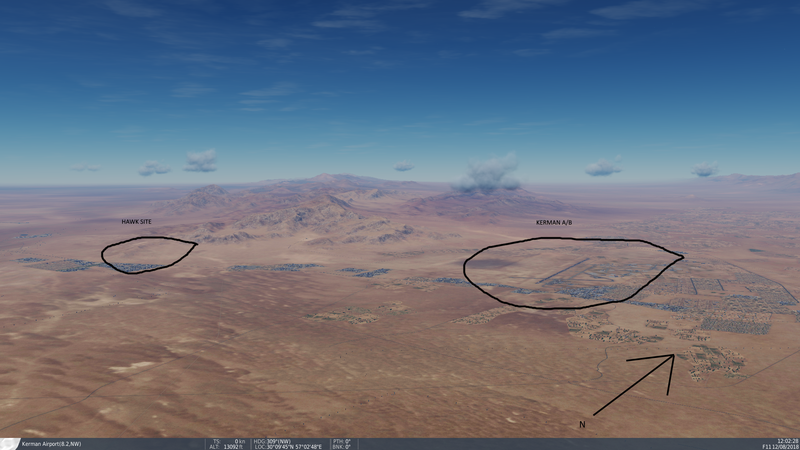 A package of 10 hornets will take off from Al Minhad AB at 04:35L refuel at STP3 and then proceed with low level ingress deep into Iran avoiding detection. Once the package has reached IP each flight will attack its designated target with pop up delivery and egress back following the flight plan. On egress the package can climb up to preserve fuel, also keep away of engagements if possible and come back safe. If needed I can add more seats or change Uzi5 to Tomcats. 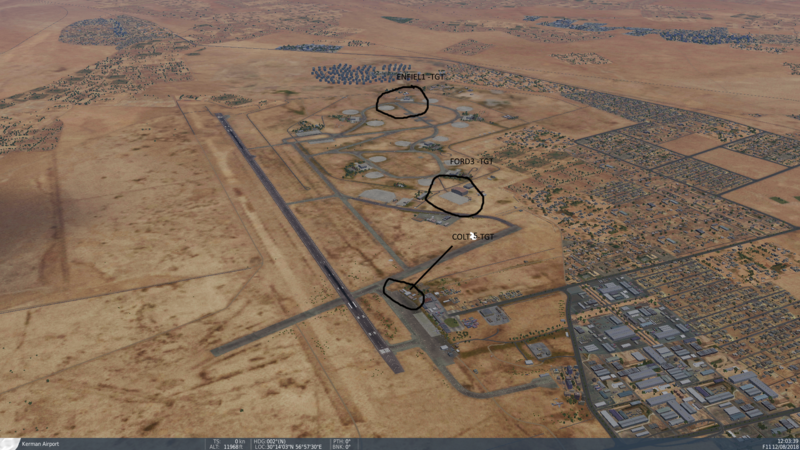 Enemy air defenses consist of EWR stations along the coast line, HAWK sites, SA-6, SA-2, Rapier and AAA. The IRIAF mainly consist F-4's, F-5's and Mig-21's. With F-4's stationed at Bandar Abbas and Shiraz. 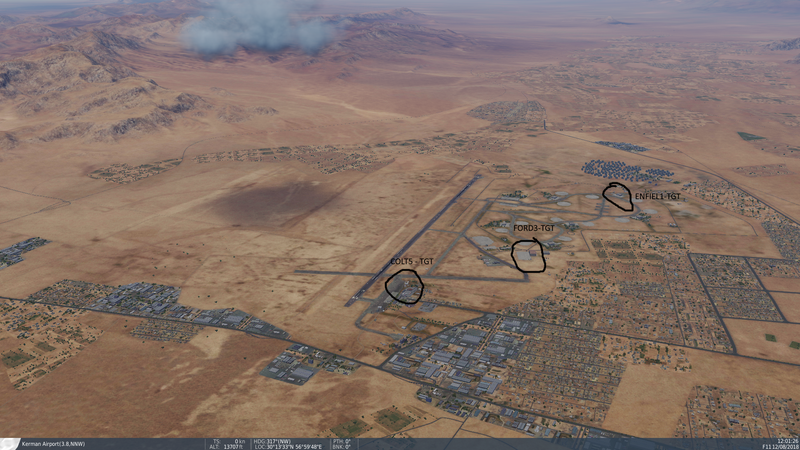 F-5's stationed at Lar and Shiraz. 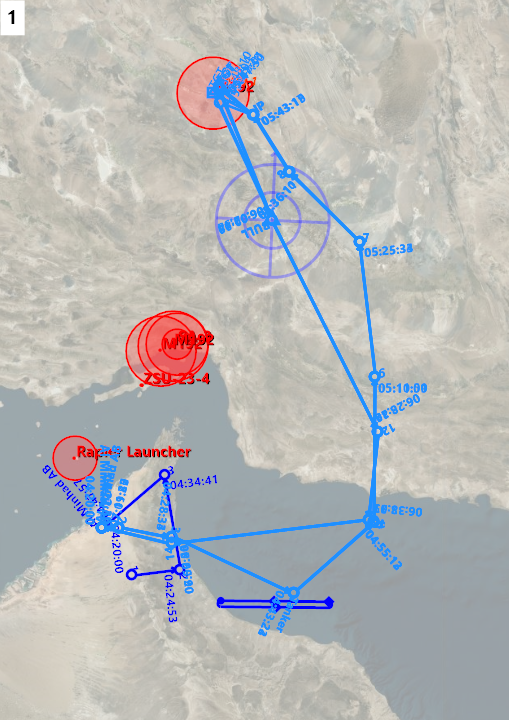 According to intel F-14A's are currently deployed near Tehran.